With the days getting shorter and colder, add some warmth and brighten up with a little bling. Whether it’s a diamond watch or a swarovski crystal license plate frame, you just can’t go wrong! The best time is now! 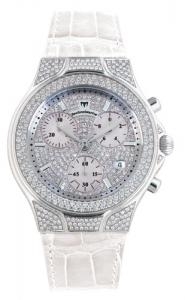 Diamond Hummer Watch, TechnoMarine.com, $5,950. Vanity has a conscience. 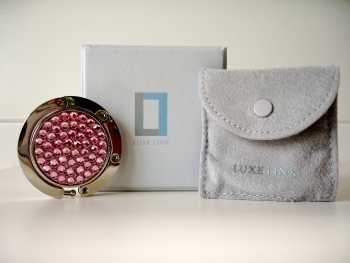 Crystal compact mirror with lip balm and lip brush, LanoLip.com, $34.99. Give your step a little kick with diamond shoe embellishments. Kickbars.com, $6,500. Hang your designer bag in style with this luxurious purse holder. LuxeLink.com, $35-$65. WIN IT! Listen to your bling. 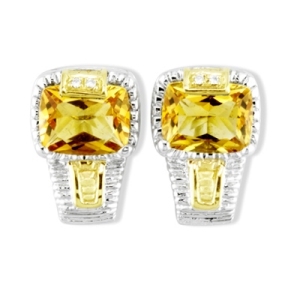 Judith Ripka square citrine diamond earrings, HydeParkJewelers.com, $750. Ride in style. 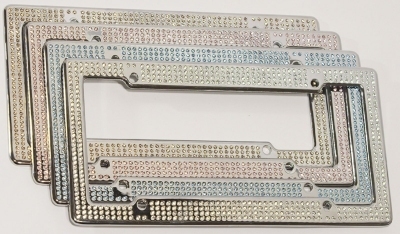 License 2 Bling swarovski crystal plate frame, ShopKitson.com, $119.99.